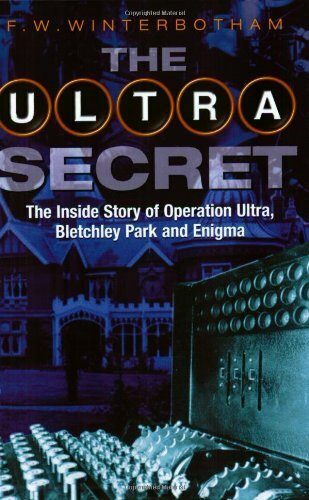 Operation Ultra was designed to intercept and decode German signals sent using Enigma, the top-secret German cypher machine. F.W. Winterbotham, was the man responsible for the organization, distribution and security of Ultra. This is his personal account of the operation. Group Captain Frederick Winterbotham was born in 1897. He was educated at Oxford University and served in the Royal Flying Corps in the First World War. Between 1930 and 1945 he was chief of the Air Department of the Secret Intelligence Service. Throughout the war he was based at Bletchley Park, and he was awarded the CBE in 1943. He died in 1990.